Encounter Books, San Francisco, 2001. To whom do we attribute the accomplishments of Western civilization? For several decades, post-modern intellectual elites and their followers in the general culture have considered this a question that shouldn’t even be asked. In their minds, the ‘achievements’ of the West have been the oppression and impoverishment of people of colour (who were all peaceful egalitarian folk, of course), along with environmental destruction. And often these charges are laid at the door of Christianity, with its alleged intolerance, racism and sexism. Carroll and Shiflett’s book is the perfect antidote to these charges. In one sense, it is a more accessible companion to the more recent book by Rodney Stark, For the Glory of God,2 reviewed last issue.3 The authors demonstrate that despotic tyranny, slavery, racism and environmental destruction have been practised all around the world for most of history. Only in the West, however, did humanity begin to rise up against these behaviours. And it was Christians, and often only Christians, who led the charge against them. They describe the commonest, broad charges against Christianity and turn them back on critics. In the process they document some of the intemperance that passes for journalism, and the peculiar ignorance of history evident in the works of critics. If the writings of sociopolitical pundits, essayists and commentators are any indication, it has been our observation that since ‘September 11’, the post-modern paradigm has begun to crack. On that day, the Western world was reminded that large parts of the globe have not risen above barbarism and tyranny. There seems to be a renewed realization that what the West has achieved in terms of egalitarianism, human rights, technological advancement and freedom is, in fact, unique and quite remarkable. So that brings us back to the original question; to whom do we attribute the accomplishments of Western civilization? The standard line of modernist secularists is that it was the Enlightenment sceptics who broke the shackles of Christianity’s Dark Age thinking, and brought about scientific discovery and the equality of all people. But the authors show that this cannot be maintained. The Roman world and the rest of pagan Europe knew nothing of universal equality. It was introduced to Rome by the Apostle Paul, who declared that ‘There is neither Jew nor Greek, slave nor free, male or female.’ So, when in 1776 Thomas Jefferson wrote the Declaration of Independence, he could write words such as ‘we hold these truths to be self evident, that all men are created equal’ and, as the authors put it, ‘expect his readers not to laugh out loud’ (as they would have done in most places and times). The antislavery forces in the USA were influenced by William Wilberforce (1759–1833), who tirelessly fought for 50 years against slavery in Britain, basing his opposition on biblical morality. Wilberforce realized that the dominion mandate of Genesis 1:28 did not extend to fellow humans. He also understood that 1 Timothy 1:10 lists ‘slave traders’ (andrapodistes) with murderers, adulterers, perverts, liars and other evil people. Paul also encouraged Philemon to free his escaped slave Onesimus (Philemon 16), and ordered masters to treat their slaves in the ‘same way’ as they were treated, and not to threaten them (Ephesians 6:9). Such practice would see the end of slavery. Wilberforce, in turn, had been influenced by the preaching of John Newton (1725–1807), who wrote the famous hymn Amazing Grace. Newton, in his earlier days, had been a slave trader himself before his conversion to Christ. After conversion, he first insisted that slaves were treated humanely, then came to see that since the slaves were also created in the image of God, the slave trade was wrong, regardless. He left the trade, became friends with the great evangelists George Whitefield and the Wesleys, became a minister, and testified to King George III about the atrocities of the slave trade. Another prominent antislavery activist in Britain was Granville Sharp (1735–1813). He was almost single-handedly responsible for a law that a slave became free from the moment he set foot on English territory. He also founded a society for the abolition of slavery. He was also a joint founder of the British and Foreign Bible Society and the Society for the Conversion of the Jews. A noted Greek scholar, he published a detailed and accurate study, discovering a rule of grammar that’s accepted by the majority of Bible translators today and now bears his name. But the existing English translations had overlooked this rule; thus, as he pointed out, they obscured the deity of Christ in places like Titus 2:13 and 2 Peter 1:1, which should say ‘our (great) God and Saviour Jesus Christ’. 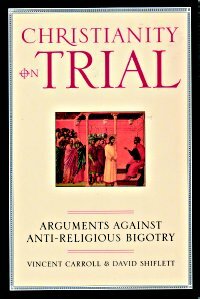 Christianity on Trial points out that pagan philosophers, like Aristotle, regarded some people as natural slaves, and ‘Enlightenment’ philosophers hostile to Christianity such as Hume and Voltaire believed in inferiority of dark-skinned people. Darwinism added to the problem. Moreover, and a shock to sceptics, statements such as ‘Things have come to a pretty pass when religion is allowed to invade public life’ were used by the 19th-century UK Prime Minister Lord Melbourne to support the status quo of slavery. Doesn’t this sound like something comfortable in the mouth of a representative from the ACLU (the misnamed American Civil Liberties Union)? And then there is the question of science. It was Christianity that broke through the ancient pagan beliefs of repeating historical cycles (thus accepting that progress was possible) and animism (which allowed natural objects to be scrutinized and studied). And as any good student of the history of science knows, it was practicing Christians like Galileo, Copernicus, Kepler and Newton who laid much of the foundations of modern science. And even with the black mark of Galileo, the church was still the leading supporter of astronomy for the first two-thirds of the second millennium, both in social and financial terms. The authors, in line with many historians of science, point out that the basis of modern science depends on the assumption that the universe was made by a rational Creator. An orderly universe makes sense only if it were designed and created by an orderly Creator (cf. 1 Corinthians 14:33). But if polytheism or atheism were true, there would be no way to deduce that the universe is, or should be, orderly. The dominion mandate gives us permission to investigate creation; unlike animism or pantheism, systems which teach that the creation itself is divine. Since God is sovereign, He was free to create as He pleased. So where the Bible is silent, the only way to find out how His creation works is to investigate, not rely on humanly-created philosophies, as did the ancient Greeks. The book also points out that the Christian worldview inspired developments essential to the rise of the modern scientific method. These include the logical thought patterns of the medieval scholastic philosophers, and the little-known but extensive inventiveness and mechanical ingenuity fostered by the monasteries. This does not mean they were right about everything, but the Middle Ages are often falsely dismissed as the ‘Dark Ages’. Such a dismissal ignores the genuine industrial revolution, including inventions of water and wind power, labour-saving heavy ploughs, and ingenious architectural devices such as flying buttresses. Christianity on Trial also counters much of the anti-Christian propaganda from certain influential sections of the environmentalist movement. For instance, the historian Lynn White Jr said in this context: ‘Christianity [insists] that it is God’s will that man exploit nature for his proper ends.’ Indeed, the dominion mandate is often savaged, because it records God commanding man to have dominion over the earth. However, the Hebrew word for dominion is radah, and 1 Kings 4:24–25 says that Solomon’s radah resulted in peace, safety and ‘each man under his own vine and fig tree’. So the type of radah must be decided by context. Since this was spoken by God into an Edenic situation, before the Fall, it is especially hard to imagine any sort of destructive or ruthless implication. The book points out that Christianity has had a positive effect on the environment. Conversely, the book shows that pagan and communist countries have often had baneful effects on their environments. Consistent evolutionary thinking, of course, cannot permit the notion that the whole of creation is focused around mankind, so it seeks to portray such an attitude as arrogant anthropocentrism (man-centredness). Interestingly, the idea that because man is nothing special, we should treat other species with special favour suffers from an ironic inconsistency. Since these other species are all ‘out for themselves’, why should mankind, if we are ‘just another species’, not do likewise? In other words, it is the very uniqueness of mankind which gives us the capacity to exercise special care, benevolent radah. After this book, it may be fairly said that those who try to portray Christian history as one long period of tyranny and superstition have not the first clue what they are talking about. This is especially important to keep in mind when reading not only the gutter atheist websites in cyberspace, but also the ravings of liberals within the church, such as John Shelby Spong. First published on Tekton Apologetics Ministries; this version is updated. Return to text. Stark, R., For the Glory of God: How Monotheism Led to Reformations, Science, Witch-Hunts and the End of Slavery, Princeton University Press, Princeton, 2003. Return to text. Williams, A., Journal of Creation 18(2):49–51, 2004; see also the Tekton review: Davidsen, B., The Sociologist Special II. Return to text. Heilbron, J.L., The Sun in the Church: Cathedrals as Solar Observatories, Harvard University Press, Cambridge, MA, 1999; see also Schirrmacher, T., The Galileo Affair: The Galileo affair: history or heroic hagiography?, Journal of Creation 14(1):91–100, 2000. Return to text. 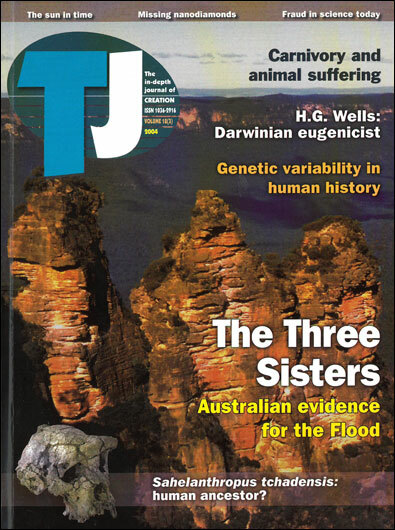 New Scientist 164(2214):98, 1999. Return to text. van Helden, A., Cathedrals as astronomical instruments, Science 286(5448):2279–80, 1999. Return to text. Russell, J.B., Inventing the Flat Earth: Columbus and Modern Historians, Praeger, New York, 1991; see summary. Return to text. See also Holding, J.P., Is the ’erets (earth) flat? Equivocal language in the geography of Genesis 1 and the Old Testament: a response to Paul H. Seely, Journal of Creation 14(3):51–54, 2000; Is the raqiya‘ a solid dome? Equivocal language in the geography of Genesis 1 and the Old Testament: a response to Paul H. Seely ; Journal of Creation 13(2):44–51, 1999. Return to text. Nuremberg Trial Proceedings Volume 2, The Avalon Project at the Yale Law School. Return to text. This is now being published online at Rutgers Journal of Law and Religion, starting with Donovan, W., The Nazi Master Plan: The Persecution of the Christian Churches, The Nuremberg Project, Return to text. Wiekart, R., From Darwin to Hitler: Evolutionary Ethics, Eugenics, and Racism in Germany, Palgrave Macmillan, New York, 2004 [see review]. Return to text. Mayr, E., 80 years of watching the evolutionary scenery, Science 305(5680):46–47, 2004. Return to text.